MANHATTAN — It’s a dream of many New Yorkers to have their own slice of outdoor green space to escape the concrete and crowds. With spring approaching and more of us thinking about flower boxes or herb gardens, here are eight buildings — some that are still under construction — that have lush secret gardens to give some inspiration. 6. 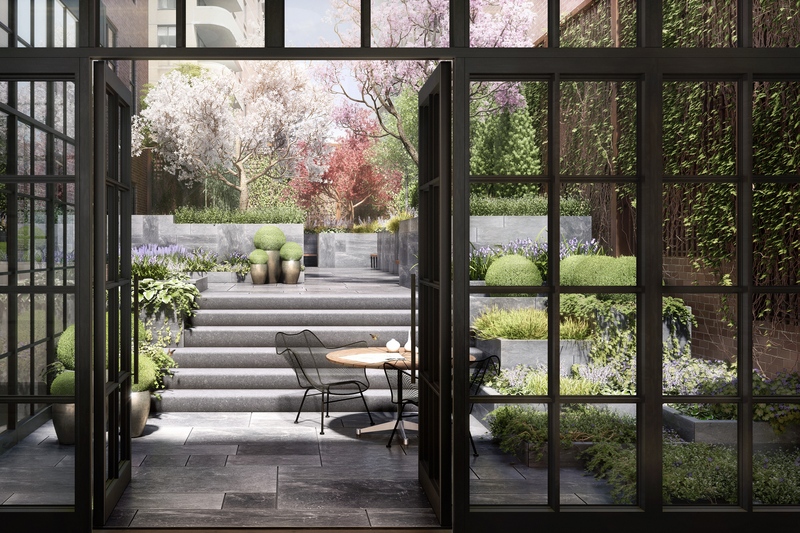 Common garden and private terraces at the Shephard, 275 W. 10th St., West Village. Originally built in 1896 as a 12-story warehouse, the building was restored by developer Naftali into 38 high-end apartments with a roughly 1,700-square-foot communal garden space behind the lobby designed by landscape architect Thomas Balsey. He’s also designing the lush 650-square-foot outdoor lounge space above the lobby, and will be available to the buyers of the Shephard’s three penthouses that each come with huge private terraces, complete with outdoor kitchens.